UU A Way Of Life: Today is the first day of Chalica! 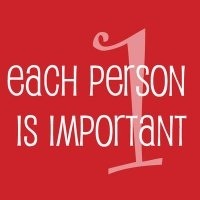 Each person is important. Today is the first day of Chalica! Each person is important. Michelle Roberts has an interesting article on the UU parenting blog entitled, "Celebrating the Winter Holidays". In recent years, the celebration of Chalica, a uniquely Unitarian Universalist winter holiday, has been gaining in popularity with families all across the country. Chalica runs for seven days, usually from the first Monday in December through the following Sunday. Each day represents a different Unitarian Universalist Principle; each evening a chalice is lit by families in their homes to celebrate their UU identity and heritage. Gifts may be exchanged as part of celebrating Chalica, but they are usually handmade and could even be a verbal offering, a written promise, or an act of service tied to the theme of the Seven Principles. For example, the family chalice is lit for “justice, equity, and compassion in human relations” on the second day, and gifts might be given to promote these ideals: spending time in service at a soup kitchen, donating new clothes or toys to local organizations that work to reduce poverty, or intentionally offering kindness to others. "Michelle Roberts has an interesting article on the UU parenting blog entitled, "Celebrating the Winter Holidays"." The article was written by Michelle RICHARDS, not Roberts.